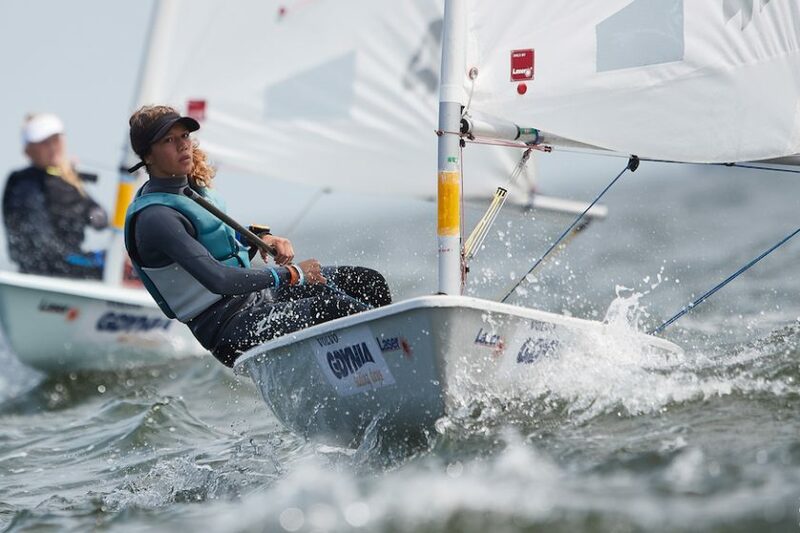 Today was another fine day for sailing on Gdańsk bay as sailors completed another two races on their way to the conclusion of the 2018 Laser 4.7 Youth World Championships at Gdynia, Poland. The wind was a bit up and down, with about 8 or 9 knots on the low end and up to 14 or 15 at the high end, but for the most part, you could expect about 11 knots with oscillations centered around 345 degrees. Most starts were quite orderly, with few sailors over the line and only a small number of general recalls. Different sailors had quite different ideas about what was working and what wasn’t. Chris Purcell (USA) said, “I felt that boat speed was critical. I was looking to establish good speed from the start and keep it up.” It wasn’t always easy, but he managed to finish in roughly the top quarter of the two bronze fleet races and is now 10th in that group. “I had come here thinking I could make it into the Silver fleet, but that didn’t happen.” So now he seems focused on making it up near the top of Bronze. Mauro Pretto Vila from Peru suggested that it was decision making that was critical, that is making the RIGHT decisions. “I had some good starts but just seemed to make one bad decision after another. 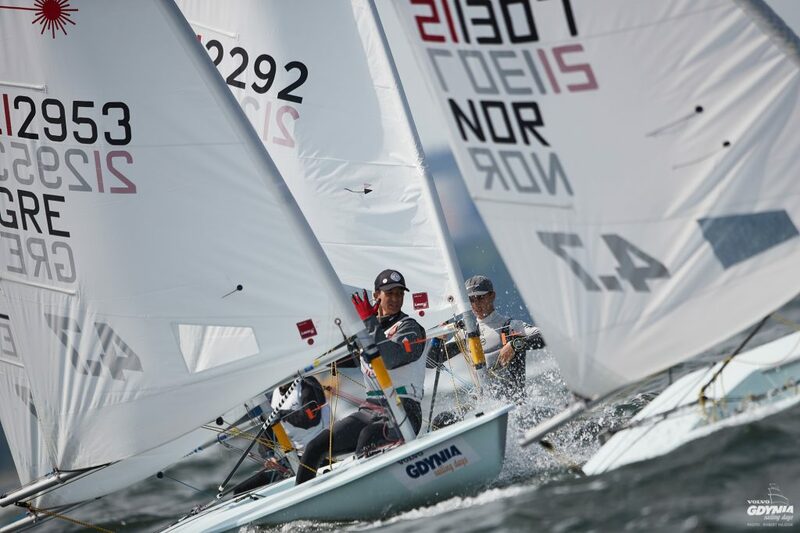 When I went right, the wind went left.” Unable to get in phase with the wind shifts, Mauro struggled on the day, but is still having a good week as he sits at 20th overall in the Gold fleet. He has had some good races, with three top ten finishes including one bullet, and with a strong day tomorrow and a little bit of luck, could move up near the top 10. Fellow Peruvian sailor Stefano Viale also had some good starts, but even better finishes. With a 4th and a 16th today, he has moved up to 2nd overall. It isn’t always about winning, but about avoiding bad races. With his worst finish at 16, Stefano Viale has been solidly near the front in every single race. 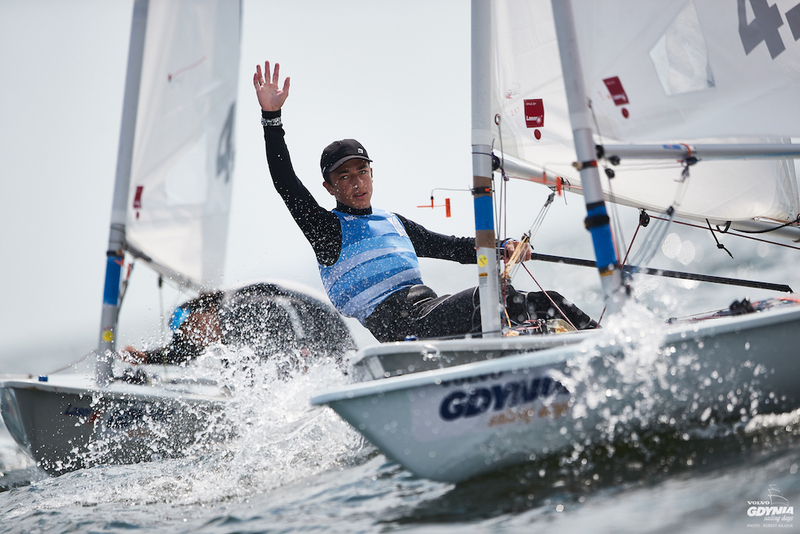 Right now, the only sailor who is in control of their destiny is Australia’s Michael Compton, who like Stefano Viale has been consistently good. Very good. If sailors manage to complete two races on the final day, a combined score of 17 will guarantee the World Champion title for Compton. So far, his worst finish is 16th. That said, any think can happen. 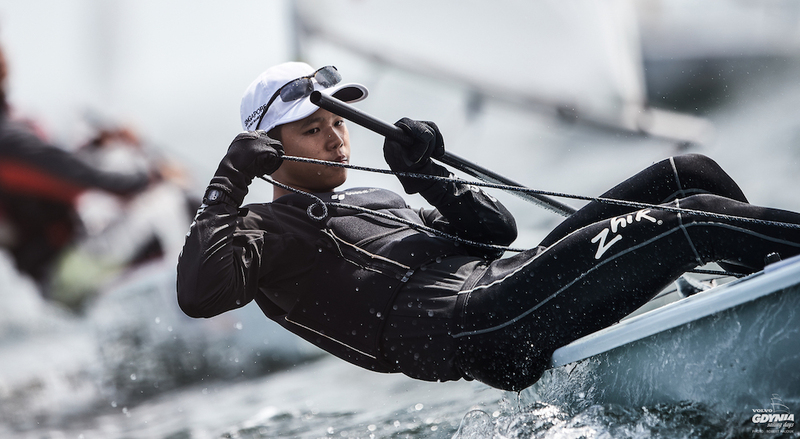 Another young sailor competing at the event is Singapore’s Simone Chen who is currently 3rd overall. “Today was good and bad.” She had her lowest finish of the regatta in the first race of the day. And in the final race, she was flagged by the jury for a rule 42 violation. “It seems like the Judges are picking on me! Like I am being watched all the time.” Of course, if you are sailing near the front of the fleet, you might receive some additional attention from officials. “I was in 2nd place at the time, but there was a big gap and taking my turning penalty only dropped me back two places.” Simone Chen is tied in points with Eline Verstraelen (Belgium) who is in 4t places. She had to retire in the second race, but has otherwise been very consistently good. 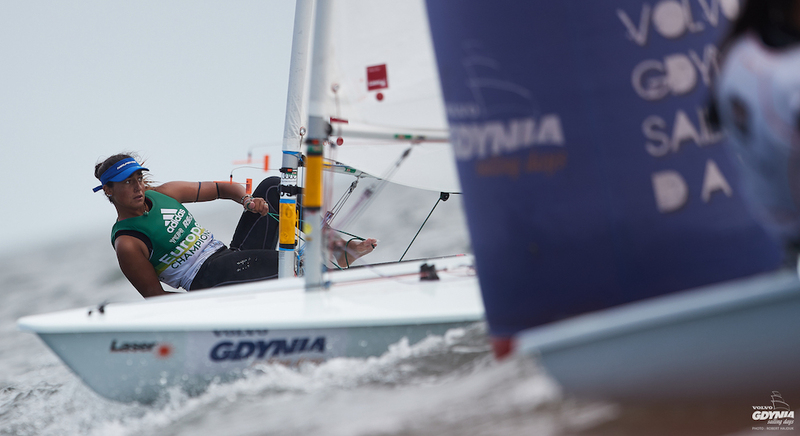 Marilena Makri won the final race of the day in Gold fleet and continues to hold on to 5th place.